For those suspicious of sentiments like national pride, or who simply fail to feel emotionally engaged by a sporting team representing a bit of territory on the planet, the World Cup season can feel alienating. It is a global phenomenon that can be difficult to avoid, and you may rightly feel tired of being that person lecturing their friends and colleagues about how football is the true opium of the masses. If so, you might as well breathe in the fumes with everyone and enjoy the ride. But given your deep-seated apathy about the World Cup, who should you support, and why? Fortunately, that moral theory Bernard Williams dismissed in 1973 – hoping “the day cannot be too far off in which we hear no more of it” – is here to help. Utilitarianism is about the impartial maximization of happiness. With over 3 billion humans allowing a ball passed around on a screen to puppeteer their emotions over the next month, there is much happiness and misery to be experienced around the globe. A World Cup-apathetic utilitarian ought to support those teams that will likely maximize net happiness by winning. How do we determine who those teams are? How the World Cup would ideally unfold according to Utilitarianism. “———-” signifies great difficulty predicting the impact of winning on overall happiness. The most obvious criterion will be the population size of a team’s country, and specifically the degree of interest and passion for football that population has. Iceland, with its measly 300,000 or so citizens, would therefore be at the bottom of the utilitarian’s list. Brazil, on the other hand, with a population just over 200 million and oodles of passion for football, makes for a straightforward utilitarian candidate based on this criterion. However, another relevant factor here is the socio-economic conditions of a country and how those might limit or enhance the happiness its citizens can experience from a win. If a poorer country generally entails a harsher day to day life for its average citizen, a win for their national team can mean a lot more than a win for the average citizen of a wealthier country where life is more pleasant day to day. If this seems implausible, think of it like this: Good news in the midst of a life of generally bad news tends to be far more uplifting than the same good news in the midst of a life of generally good news. Moreover, citizens of wealthier countries generally have more options at hand to help them deal with a World Cup defeat, such as by going to the cinema or a nice restaurant. Put together, this gives us good reasons to give more weight to poorer countries in the tournament. This factor can have a huge impact on which team to support. Consider a match between France and Peru: France’s population is more than double Peru’s, but its GDP per capita is also six times greater. While GDP is a poor indicator for well-being, it generally correlates with things like access to healthcare, housing, security, stability, ability to afford vacations, and so on. Moreover, although this is hard to gauge, the average Peruvian is probably far more passionate about football than the average French person (according to this analysis, only 46% of French citizen are interested in football, whereas interest in football throughout South America is closer to 70%). France also won the World Cup in 1998, which means many of those supporting it now will have experienced such a win in their lifetime – something that would plausibly diminish how much utility they would derive from winning again (Imagine winning a second Oscar or Nobel Prize – probably wouldn’t feel quite as good as the first one). Put together, these give us solid reasons to support Peru over France, despite the population difference. A further criterion the utilitarian ought to take into account is the political ramifications of winning in a given state. Football and politics have a contentious relationship: Not only has the game helped instigate actual wars, such as the 1969 “Soccer War” between Honduras and El Salvador, but footballing outcomes can also stifle or bolster dissent in autocratic countries. Consider Egypt, where I am from: With 95 million citizens virtually all religiously devoted to football, and nearly a third of them living below the poverty line, Egypt should make a strong contender for the utilitarian to support in the World Cup. However, Egypt is also in the grip of an oppressive, authoritarian regime: a win for Egypt may well stifle what little opposition to tyranny there is in the country. With farcical presidential elections earlier this year, a relentless onslaught against press freedoms, and an ongoing crackdown on any and all forms of protest – not to mention drastic cuts in subsidies for essential goods that hit the poorest hardest – Egypt has many of the indicators of a pressure cooker waiting to explode. A good performance from the Egypt team may well let out some of that suppressed steam, killing off what potential for dissent there is. There is also no doubt the government would capitalize on a good performance in the World Cup to pump propaganda to legitimate its oppressive policies. In contrast, a bad performance may be (and has been) used to bolster dissent, and so perhaps the utilitarian should hope Egypt is humiliated in the World Cup if that increases the chances of ending tyranny. Of course, if that dissent merely leads to more oppression – or worse, a Syria-like situation – then perhaps we ought to desperately support Egypt. With so much unpredictability, the utilitarian may rightly remain agnostic when it comes to countries like Egypt – all the more so when they face up against Russia, a similarly authoritarian state, albeit one with more nefarious meddlings internationally. Ditto for Iran. It’s hard to say with any degree of confidence what the political impact of wins and losses would be in such cases – if any – and so a utilitarian may rightly stay apathetic when it comes to such matches. Ultimately, while Brazil may appear to be the utilitarian’s favoured team, a stronger case may be made for Nigeria. True, Brazil has about 20 million more citizens, but Nigerians are in fact more passionate about football (83% of Nigerians are interested in football, compared to 67% of Brazilians, according to this market research). Also, the average Nigerian is far poorer than the average Brazilian. 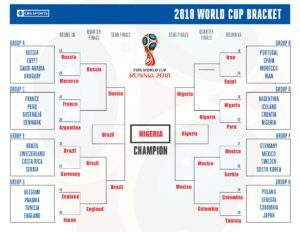 Combine this with the fact that Brazilian spectators born before 1970 will already have experienced Brazil winning the World Cup 3 times, and Nigeria should be the utilitarian’s favourite. 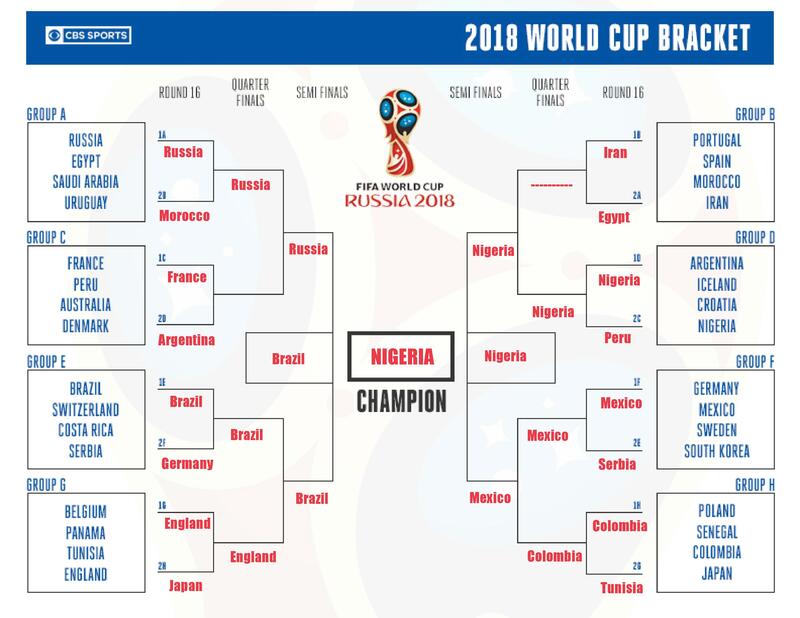 Nigeria is likely to be out of the competition soon, however, and in their place a utilitarian should probably support Mexico: 127 million highly football-crazed citizens that are not particularly wealthy on average, and who’ve never won the World Cup. They are also, as it happens, relatively entertaining to watch. P.S. Of course, supporting a team by “oohing” and “aahing” in your living room will have no implications for who wins, and therefore little if any implications for the kind of frivolous happiness at stake here. Which is to say, this has mostly been a silly exercise in utilitarian musings. But it also points to how easy it is to get these welfare calculations terribly wrong. It may turn out, for instance, that the average citizen from a poorer country is in fact better able to deal with a World Cup loss: if your day to day life is a struggle, you may simply have no time or opportunity to mope about after losing a match. Similarly, your ability to fully enjoy and celebrate a positive World Cup outcome in the succeeding days may also be stifled by harsh economic realities, again limiting how much utility a win can entail for citizens of poorer countries. These are all possibilities that would radically alter the utilitarian’s calculus – something that is often seen as a fatal feature of the theory when it comes to non-frivolous topics. Of course, any rival ethical theory that is at all concerned with the impact of policies on well-being has to contend with such uncertainties as well. That is, this is not a problem for utilitarianism per se, but for any ethic that values the well-being of conscious creatures. “[T]he day cannot be too far off in which we hear no more of it”. If only he do been right and had also included football and been equally prophetic. Fun post! The bracket is filled out incorrectly. In the Round of 16, the first place team in Group A will play the second place team in Group B, and so on. Russia and Egypt, who are in the same group and play each other today, would not also face each other in the Round of 16. Also, the post ignores the pleasure given by beauty of play. Stylish play could bring happiness to people in many countries, as could close, exciting, well-played games. Or if people all over the world unite behind an underdog who wins the whole thing. Mexico is further complicated by its national team being the most popular soccer team in the US. That’s a fair number of additional people affected by the outcome, and the demographic skew of that population is not, perhaps, that of the average US sports fan. In regards to a Brazil vs. Nigeria final, I’m not convinced that the utilitarian should support Nigeria. The expectations that a country’s population has for its team merit consideration. Nigeria is not expected to do well. The soccer fans of Nigeria will hardly be too disappointed should their team make it to the final, but ultimately lose to Brazil. Indeed, on the whole, the Nigerians would be thrilled with that result. The same cannot be said with regard to Brazil. Brazilian soccer fans, it seems, believe that their team ought to win every major tournament in which it plays. Because the expectations of the Brazilian fans are so high, anything short of a victory for the Brazilian team would result in a quite large decrease in utility. Thus, the decrease in utility associated with a Brazilian loss might be so great that it would outweigh the gain in utility associated with a Nigerian victory. If so, then the utilitarian would do well to support Brazil in a Brazil vs. Nigeria final. Great post. Practical consequentialism at its best!